Born 1952 in Tokyo, Sakamoto debuted in 1978 with his solo album ‘Thousand Knives’. 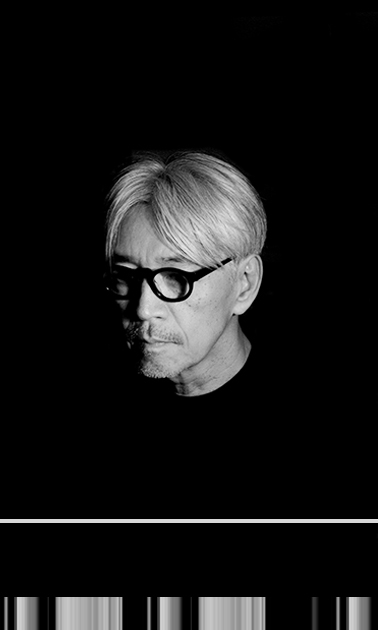 The same year he joined the pioneering electronic-music pop group Yellow Magic Orchestra. In 1983, Sakamoto scored the soundtrack for ‘Merry Christmas, Mr. Lawrence’, in which he co-starred with David Bowie. Since those early days he has released over a dozen solo albums, created art installations exhibited in various museums around the world, and composed more than thirty film scores for directors including Bernardo Bertolucci, Pedro Almodóvar, Brian De Palma, and more recently Alejandro González Iñárritu for whom he composed the music of ‘The Revenant’. His work has been recognized with accolades including an Academy Award, two Golden Globes, a Grammy, and more. Sakamoto has been a fervent defender of environmental and social causes, particularly committed to reforestation and supporting the victims of the 3/11 earthquake, tsunami, and anti-nuke activism. In 2017, along with the release of his 16th solo album async and the documentary Ryuichi Sakamoto: CODA (Stephen Nomura Schible), Sakamoto continued composing film scores, presenting site specific performances, and created audio/visual installation work, IS YOUR TIME with Shiro Takatani. 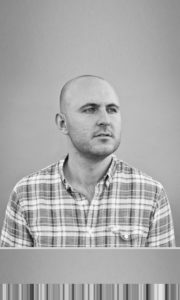 Taylor Deupree is a sound artist, graphic designer, photographer, and founder of 12k, an independent record label based in the rural area north of New York City. Started in 1997, 12k has pioneered a form of experimental ambient music involving delicate hybrids of digital technology and acoustic instrumentation. In its 20 years of existence, 12k has released over 100 albums from an international roster of artists and has become one of the most respected small sound-art labels in the world for this captivating and minimalist niche of electronic music. Many share with Deupree an interest in stark minimalism, but the label has also found room for, located a common ground with, the acoustic avant-garde, the instrumental derivations of post-rock, and the synthetic extremes of techno. Deupree is an accomplished sound artist whose recordings, rich with abstract atmospherics, have appeared on numerous record labels, and well as in site-specific installations at such institutions as the ICC (Tokyo, Japan) and the Yamaguchi Center for Arts and Media (Yamaguchi, Japan). His music today emphasizes a hybrid of natural sounds and technological mediation. It’s marked by a deep attention to stillness, to an almost desperate near-silence. His passion for the studio as a recording instrument is paramount in his work, but there is no hint of digital idolatry. If anything, his music shows a marked attention to the aesthetics of error and the imperfect beauty of nature, to the short circuits not only in technological systems but in human perception. He is also a prolific collaborator, having worked with the likes of Ryuichi Sakamoto, David Sylvian, Stephan Mathieu, Stephen Vitiello, Christopher Willits, Kenneth Kirschner, Frank Bretschneider, Richard Chartier, Savvas Ysatis, Tetsu Inoue and others. Joseph Branciforte is a multi-instrumentalist, composer, recording/mixing engineer, and sound artist based out of New York City. His wide-ranging musical interests have situated him at the intersection of several of New York’s most fertile progressive music scenes – from jazz and improvised, to modern composition and chamber music; from sound art and computer-aided composition, to creative and experimental rock and pop. At the bottom of each of these seemingly discrete musical threads lies an undying fascination with sound as a profound emotional medium – organized through musical form, articulated by a careful selection of sound materials, and framed through the act of recording. As recording engineer and producer, Branciforte has lent his sonic touch to over 150 releases, working with such artists as Kurt Rosenwinkel, Ben Monder, Vijay Iyer, Tim Berne, Steve Lehman, Nels Cline, Marc Ribot, Dan Tepfer, Son Lux, and The Lumineers along the way. His engineering work can be heard on ECM Records, New Amsterdam, Pi Recordings, Sunnyside Records, and Cantaloupe Music. As performer, he has developed a solo improvisation practice around the Fender Rhodes keyboard, extended with a wide variety of processing devices, synthesizers, found objects, homemade instruments, and tape loops. He has embarked upon several collaborations in this format, including a duo with vocalist Theo Bleckmann. 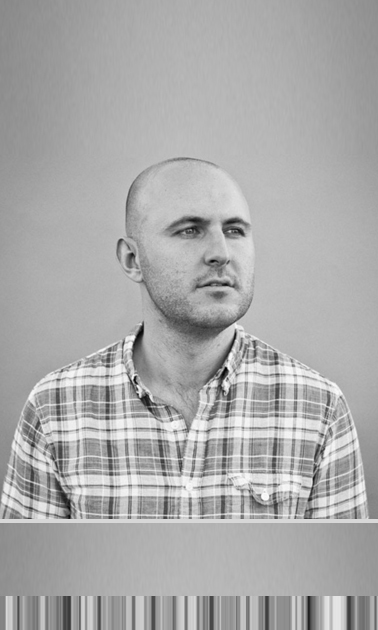 As a composer, he has developed a unique process of realtime algorithmic composition for instrumental ensembles, using custom software of his own design to generate and display a traditionally notated piece during performance. 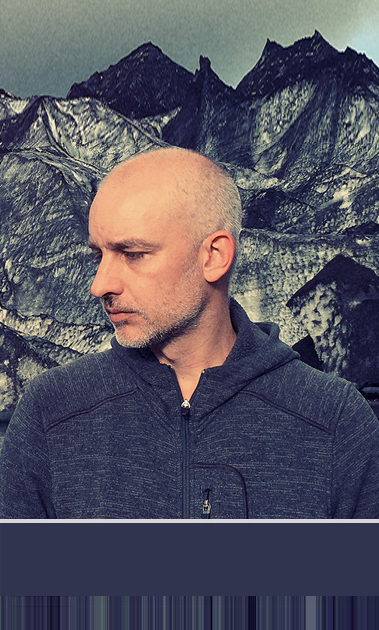 In 2017, he debuted a chamber project in collaboration with electronic musician/composer Kenneth Kirschner featuring works created using generative techniques. He is also the co-leader and drummer of “garage-chamber” ensemble The Cellar and Point. The group’s debut album Ambit (Cuneiform, 2014) garnered critical acclaim from outlets such as the BBC and All Music Guide and was listed among the Albums of The Year by WNYC’s New Sounds. GRAMMY® nominated jazz singer and new music composer Theo Bleckmann’s diverse recorded work includes albums of Las Vegas standards, Weimar art songs, and popular “bar songs” (all with pianist Fumio Yasuda); a recording of newly-arranged songs by Charles Ives (with jazz/rock collective Kneebody); and his acclaimed “Hello Earth – the Music of Kate Bush.” In January 2017, ECM released Bleckmann’s recording with his new Elegy Quintet, produced by legendary label head and founder, Manfred Eicher. Bleckmann has most recently appeared as a special guest on recordings by Ambrose Akinmusire for Blue Note Records and Julia Hülsmann’s trio for ECM. Bleckmann has collaborated with musicians, artists, actors and composers, including Ambrose Akinmusire, Laurie Anderson, Uri Caine, Philip Glass, Ann Hamilton, John Hollenbeck, Sheila Jordan, Phil Kline, David Lang, Kirk Nurock, Frances MacDormand, Ben Monder, Michael Tilson Thomas, Kenny Wheeler, John Zorn, the Bang on a Can All-Stars, and, most prominently, Meredith Monk, with whom Bleckmann worked as a core ensemble member for over fifteen years.